Foundation degrees are the first two years of an honours degree programme, but they are also a qualification in their own right. Our Teaching & Learning Support course is quality assured by Middlesex University and you will receive a Middlesex Award on successful completion. Students studying a Foundation Degree can apply to do a "top up" year to obtain a full BA (Hons) degree in Teaching & Learning Support. This course is also available at AHED. The Teaching and Learning Support Foundation Degree is designed for those working or wishing to work in schools with children in Key Stages 1 and 2, i.e. children in years 1 to 6. If you are currently working in a Reception year class you will need prior agreement from your Head Teacher that you will be able to work with children in a key stage 1 or 2 class in order to complete the nine week module: Supporting the National Curriculum Delivery, undertaken in year 1, term 2. Alternatively you may be able to get work experience to cover this. The programme has been developed so that those wishing to work in an educational setting to support the teaching and learning of children can explore a variety of contemporary topics and issues, such as behaviour management, social pedagogy and inclusive education. Students will carry out research which is relevant to their workplace. What are the aims of the course? The course will provide students with the opportunity to examine policy, research and practice in childhood education, provision and care. It will also enable students to research specific topics and themes directly relevant to their work. The course offers a flexible route towards higher education for people with varying levels of experience and will enable you to develop your professional career working in the childcare industry at a recognised level of independence and responsibility. Our aim is to offer a flexible approach to learning. Our foundation degrees are classified as full time so that you can drawdown a student loan. College attendance is for one afternoon and evening a week (1:00pm –7:00pm). The overall hours that you attend the course are not dissimilar to what you would experience at University. We teach for 34 weeks per year whereas many university teaching years are much shorter than this e.g. Middlesex University teaches for 22 weeks per year. We use a 'blended approach to learning' where students are supported through a mixture of formal lectures, seminars, online materials and one to one tutorial support. Personal tutorials and assessment coaching sessions are held at mutually convenient times outside taught hours. In year 2 you will be expected to take on an increased responsibility for your learning and become an independent learner making increasing use of online learning as well as formal taught sessions. As previously mentioned a blended approach to learning is adopted and some sessions may be delivered online via the colleges’ virtual learning environment, Moodle. Lecture and reading materials will be placed on Moodle and each subject will have a discussion forum where you will be able to ask questions if you want to clarify an aspect of an assignment etc. What topics will I be covering? Do I need any previous knowledge or entry qualifications? All eligible applicants will be required to attend an interview. It is expected that you would have at least a level 3 Certificate / Diploma in Children’s Care Learning & Development or Children & Young Person’s Workforce. Students under the age of 21 will be expected to have a BTEC National Diploma in Childcare or similar or 2 A Levels (minimum 64 UCAS points). Mature students, over the age of 21, without traditional qualifications may also be accepted following Recognition of Prior Experiential Learning (RPEL) providing they can show appropriate levels of relevant ability and experience. They would need to make a claim for Recognition of Prior Learning (RPL) as exemptions from parts of the degree programmes are possible. Claimants seeking RPL and RPEL must apply to the College and may be required to present a portfolio in support of their claims. All students will require a Criminal Records Bureau (CRB) check prior to the start of the course. A requirement of the course is for students to be employed or working in a voluntary capacity in a relevant setting for a minimum of 100 hours throughout the course. Those currently not working will be given some support in finding a suitable position, however, responsibility for this ultimately lies with the student. All students will require a Disclosure & Barring Service (DBS) check prior to the start of the course. How much time do I need to spend on home study? You should expect to complete a minimum of least 4 or 5 hours additional work outside attendance at college per week. If you are working, relevant additional work may naturally occur in your workplace. What could the course lead to? 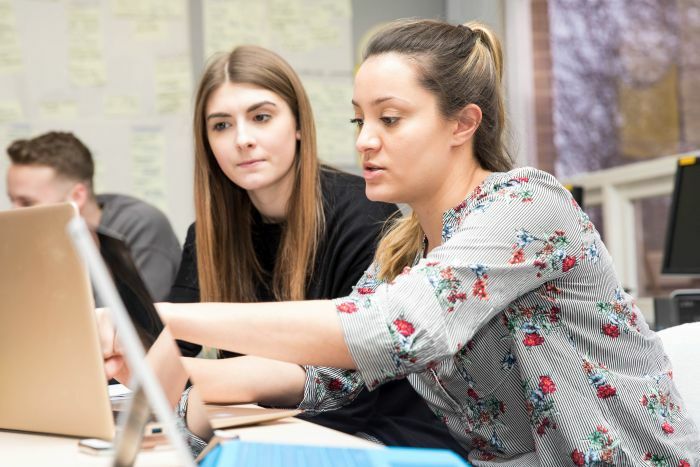 Students also have the option to 'top up' their Foundation Degree to a full honours degree AT Peter Symonds or at a local universities or by choosing to progress onto the BA (Hons) in Teaching Studies, BA (Hons) in Educational Studies or BA (Hons) in Professional Practice via Middlesex University. Successful completion of the course will lead to a Foundation Degree in Teaching and Learning Support from Middlesex University. The fee for this course is £5,300 per year for 2019 entry (2 year course). For further information about fees and funding click here. To view the programme specification for this course, please click the link below. Any queries should be directed to Paula Baker (Head of Curriculum) on pbaker@psc.ac.uk. Fees are correct at the time of publication and may be subject to change. For degree programmes, please note that the fee showing is charged per annum.